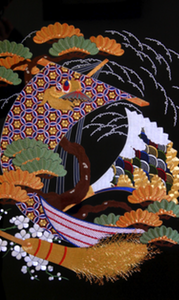 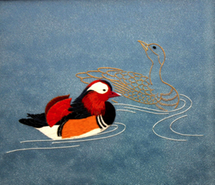 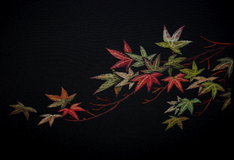 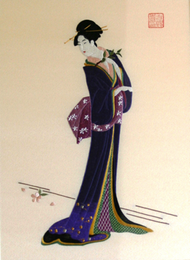 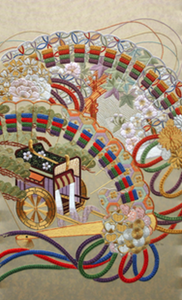 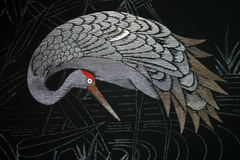 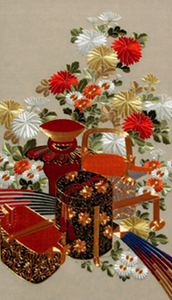 Japanese embroidery has a history that dates back over 1,000 years. 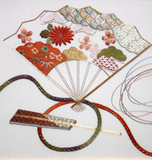 The skills and techniques were handed down through a master/apprentice system. 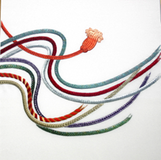 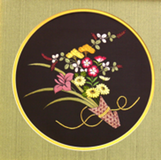 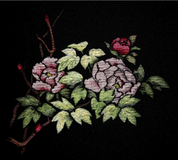 It was only recently that training in the 46 basic techniques, that form the building blocks of this unique form of embroidery, was made available to needle workers worldwide through the set up of Kurenai Kai in Japan and the Japanese Embroidery Centre (JEC) in Atlanta, U.S.A. 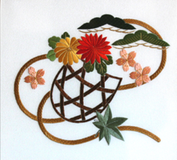 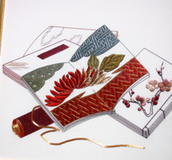 In Australia we offer the same opportunity to acquire and master the skills of traditional Japanese embroidery through a structured program comprising of 10 phases, each of which is designed to introduce and develop technical skills. 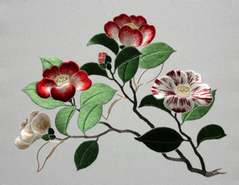 On completion of the formal�10 phase curriculum, students have the opportunity to graduate and apply for teacher accreditation with the Japanese Embroidery Centre in Atlanta, USA. 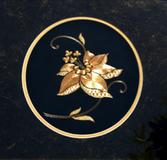 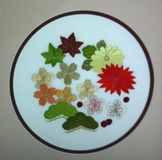 Please view�Gallery�to see samples of phase pieces and other projects.